Try to see wild dogs if you get a chance. It is such a lovely sight. 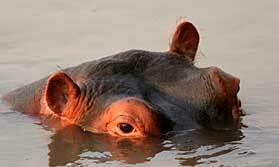 Of course the wild dogs in Africa are an endangered species, so it's actually a very special wildlife sighting too. Wild dogs are pack animals so when you see one, you usually see many more. Packs of up to 40 individuals are not unheard of. The exciting thing about a wild dogs safari is the interaction between all the pack. They 'talk' to each other, they play together, they share hunting and any food they catch, they look after the young and the old members of their pack. It is truly enthralling to watch. 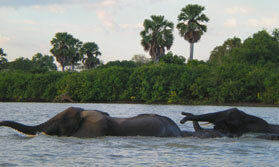 Selous Game Reserve in Tanzania : Selous has the largest population of wild dogs in Africa. 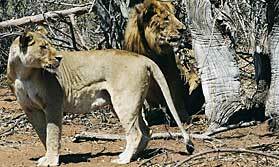 Neaby Ruaha is also a good bet for seeing the dogs. 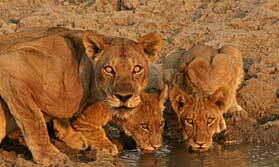 Selinda, Linyanti and Kwando Reserves, Botswana : These are some of the very best places to see the dogs. 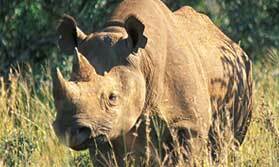 Madikwe Reserve, South Africa : There is a decent population of dogs here so sightings are relatively common as the park is quite small in comparison to the Selous for example. Samburu and Laikipia Plateau, Kenya : There is an important wild dog project in this region so it is now becoming an increasing stronghold for the dogs. South Luangwa National Park, Zambia: You can see wild dogs here, and excitingly, there is a carnivore project which allows you to go out with researchers once a year, so you might be able to see wild dogs whilst with the researchers. As for the best time to see wild dogs, you generally stand a better chance of spotting them around denning time and when they have young pups, as they tend to stay in one spot for longer. Whilst they can have pups at any time, the most common time is from around late June to September, so this is a good time to consider. 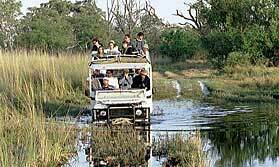 Botswana: Moremi Reserve and the private reserves of Linyanti, Selinda and Kwando are known to be good places for dogs. 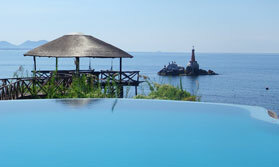 Three of our favourite camps here are Lagoon Camp, Selinda Camp and Savuti Camp. Tanzania: Selous Game Reserve has the world’s largest population of wild dogs. We love the simple Lake Manze Camp. Zambia: South Luangwa has a project tracking wild dogs. 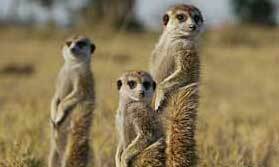 Kenya: The Laikipia and Samburu regions can also be good. It is possible to see wild dogs at any time of the year. However one consideration is that they are more easily found when they are denning and for the weeks after pupping. Commonly this is around June to August. We have a lovely itinerary called Falling for Wild Dogs (see below), but we can tailor make any itinerary for you to include giving you the best chance of seeing wild dogs. 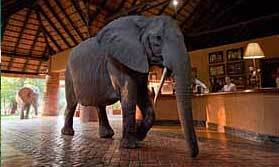 A great value Botswana camping safari combining excellent game viewing with Victoria Falls. Get to the heart of Botswana with this wonderful, small group safari visiting some of the best game viewing destinations. 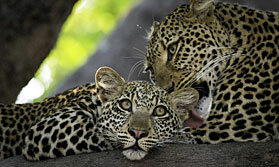 A Remote Africa Safaris wildlife and wilderness experience in South Luangwa. 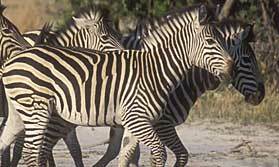 Wildlife and wilderness in South Luangwa and Lower Zambezi national parks. 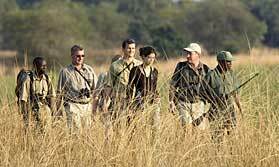 An excellent week's safari in South Luangwa with owner-run Shenton Safaris camps. 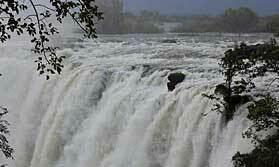 An adventure camping safari with some of Botswana's best wilderness, ending at Vic Falls.